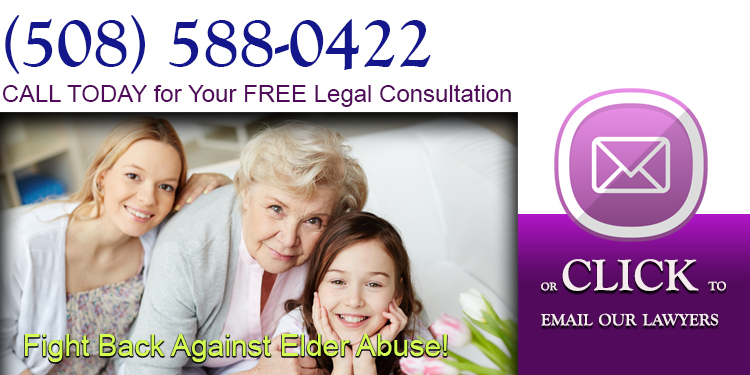 Did someone you love suffer elder abuse at West Acres Rehabilitation and Nursing Center? Our lawyers can help. West Acres Rehabilitation and Nursing Center is a non-profit Nursing Home with 138 beds. It is Medicare/Medicaid certified and provides the following elder services: short-term rehabilitation, long-term care, diabetic care, wound care, pain management, physical therapy, occupational therapy and speech therapy. The Centers for Medicare and Medicaid (CMS) rates all nursing homes that accept medicare or medicaid benefits. CMS created a 5 Star Quality Rating System—1 star is the lowest rating and 5 stars is the highest—that look at three areas. As of 2017, The West Acres Nursing Home in Brockton, Massachusetts received a rating of 3 out of 5 stars. Based on record review, interview and observation, the facility failed to ensure that standards of practice were followed for medication administration and documentation for 2 Residents. Pursuant to Massachusetts General Law (M.G.L.) chapter 112, individuals are given the designation of Registered Nurse and Practical Nurse which includes the responsibility to provide nursing care. Pursuant to the code of Massachusetts Regulation (CMR) 244, Rules and Regulations 3.02 and 3.04 define the responsibilities and functions of a Registered Nurse and Practical Nurse respectively. The regulations stipulate that both the Registered Nurse and Practical Nurse bear full responsibility for systematically assessing the health status and recording the related health data. They also stipulate that both the Registered Nurse and Practical Nurse incorporate into the plan of care, and implement prescribed medical regimens. The Rules and Regulations 9.03 define Standards of Conduct for Nurses where it is stipulated that a nurse licensed by the Board shall engage in the practice of nursing in accordance with accepted standards of practice Please refer to the Nursing 2016 Drug Handbook for accepted standards in regards to proper medication administration along with nursing considerations of drug administration. On 5/3/16, The Surveyor observed Medication Nurse # 1 administer medication to Resident #9 at 7:45 A.M. The Surveyor observed Medication Nurse #1 pour medication. The Surveyor observed Medication Nurse #1 go into Resident #9’s room, identify the Resident, hand him/her the medication cup and explain the medication to Resident #9. The Surveyor observed Resident #9 ask where is my medication? The Surveyor observed Medication Nurse #1 go back to the MAR, read the MAR. Medication Nurse #1 said words to the effect I guess I didn’t see that. On 5/3/16, the Surveyor observed Medication Nurse #1 administer medication to Non sampled Resident #1 at 8:10 A.M. The Surveyor observed Medication Nurse #1 pour several medications. The Surveyor observed Medication Nurse #1 go into Non sampled Resident #1’s room, identify Non sampled Resident #1 and explain the medication to Non sampled Resident #1. The Surveyor observed Non sampled Resident #1 say I usually get 2 Potassium tablets. The Surveyor observed Medication Nurse #1 go back to the MAR, review the MAR, pour another Potassium tablet and administer the second Potassium tablet to Non sampled Resident #1. On 5/3/16, the Surveyor observed Medication Nurse #2 administer medication to Non sampled Resident #2 at 9:25 A.M. The Surveyor observed Medication Nurse #2 ask Non sampled resident #2 if he/she was in pain and needed pain medication. The Surveyor observed Medication Nurse #2 pour 1 tablet of the narcotic pain medication IR 5 mg. The Surveyor asked Medication Nurse #2 the time of the last dose of pain medication. Medication Nurse #2 looked in the narcotic book at the time of the last dose administered and said to the Surveyor it was too soon to medicate Non sampled Resident #2 for pain at 9:25 A.M. because he/she was medicated at 6:00 A.M. Medication Nurse #2 found another nurse and they disposed of the poured narcotic medication.4. For Resident #2, the facility failed to administer and document sliding scale insulin as ordered by the physician. Resident #2 was admitted to the facility in 11/2015. Review of the most recent quarterly Minimum Data Set (MDS) signed as completed on 2/18/16, indicated that the Resident had a BIMS (Brief Interview of Mental Status) score of 14 of 15 reflecting that the Resident was cognitively intact, and required extensive assist for activity of daily living but independent for eating. The MDS also indicated that the Resident received insulin daily. Make sure that each resident gets a nutritional and well balanced diet, unless it is not possible to do so. Based on record review, interviews and observation, the Facility failed to ensure that a Resident with gastrostomy feeding tubes maintained acceptable parameters of nutrition including weight. For Resident #1, the facility failed to prevent a gradual weight loss in a Resident who received nutrition and hydration exclusively via a gastrostomy feeding tube. Resident #1 was admitted to the Facility in 12/2015 with [DIAGNOSES REDACTED].The Admission Minimum Data Set (MDS) assessment dated [DATE], indicated Resident #1 was severely impaired in daily decision making and was totally dependent on the nursing staff for all activities of daily living including nutritional needs with a gastrostomy tube feeding. The care plan, dated 8/12/15, indicated Resident #1 required a gastrostomy tube feeding for all nutrition and hydration needs. The Surveyor observed Resident #1 several times on 5/4/16. The Surveyor observed that Resident #1’s gastrostomy tube feeding was 1.2 and was running at 55 ml (milliliters) an hour. Based on record review and staff interview, the facility failed to provide proper care and treatment of 2 Residents with a Peripherally Inserted Central Catheter (PICC) line. The facility policy on Central Venous Catheter Dressing changes (updated on 7/1/12) was reviewed on 5/4/16 and indicated that the sterile dressing change using transparent dressing is performed 24 hours post insertion, upon admission and at least weekly. The policy also indicated that the length of the external catheter is obtained upon admission and during a dressing change. For Resident #6, the facility failed to ensure the proper care and treatment.Resident #6 was admitted to the facility in 11/2014 and had a brief hospitalization and was readmitted to the facility with a PICC. The PICC was inserted into the Resident’s right arm during the hospital admission to facilitate the administration of antibiotics for treatment. The clinical record was reviewed on 5/3/16. Review of the Central Line Catheter Treatment Record for February 2016 indicated that there was no documented evidence that on 2/25/16 the external length of the catheter was obtained or a dressing change occurred. The next documented opportunity for a dressing change was scheduled for 3/4/16, however it was documented by the Nurse Practitioner that she removed the PICC that day. The Director of Nurses and Unit Manager #1 were interviewed on 5/5/16 at 4:00 P.M Unit Manager #1 said that she called the medication nurse who had worked on 2/25/16 (3-11) and the mediation nurse said that she remembered changing the dressing, but could not recall if she obtained the external length of the catheter. Both the Director of Nurses and UM#1 said that it was not documented and therefore could not verify that the dressing change had occurred. 05/09/2016 The Nursing Home failed to have a program that investigates, controls and keeps infection from spreading. Based on record review, interview and observation the Facility failed to ensure that infection control policies and procedures were followed during a dressing change on 5/3/16. Resident #3 was admitted to the Facility on 8/2015.The most recent quarterly Minimum Data Set (MDS) assessment, dated 2/16/16, indicated that Resident #3 was severely impaired for daily decision making, and required assistance with all activities of daily living. The care plan, dated 2/29/16, indicated Resident #3 had a healing stage 3 (full thickness loss that may present as a crater) to the coccyx. The care plan interventions included a dressing change to the pressure sore including a wash with normal saline, followed by 1% ointment and a foam dressing every day. The Surveyor observed Treatment Nurse #1 on 5/3/16 when she provided the wound treatment to Resident #3. The Surveyor observed Treatment Nurse #1 wash her hands and remove the old dressing from Resident #3’s pressure sore wound. The Surveyor observed Treatment Nurse #1 remove her gloves, wash her hands and reapply gloves. The Surveyor observed Treatment Nurse #1 cleanse the pressure sore with a gauze soaked with normal saline then apply the ointment and the sponge dressing without changing her gloves. The Surveyor immediately told Treatment Nurse #1 that she failed to remove her gloves and wash her hands after cleansing the pressure sore. Treatment Nurse #1 failed to follow the Facility policy for a clean dressing change. Based on record review, review of facility policy and staff interview, the facility failed to ensure that clinical records were complete, accurately documented and readily accessible for 5 (#2, #6, #8, #12 & #18) of 22 sampled Residents.